The post Space News Update April 2019: Black Hole Imaged, Falcon Heavy Works, Israeli Lander Crashes appeared first on INN. The post Sister Bliss: Justice At Stake appeared first on INN. The post Streamfleet Showdown Invitational: Edition 2 Coming to Thunderdome Later This Month appeared first on INN. The post CCP Speaks: Crafting the Story with CCP Delegate Zero—Part 2 appeared first on INN. 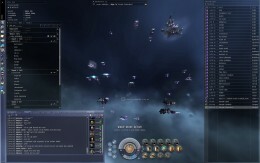 The post CCP Speaks: Crafting the Story with CCP Delegate Zero—Part 1 appeared first on INN. The post Plex Prices: The Damage To EVE Online appeared first on INN. The post CCP Speaks: Tech Talk with CCP Bartender appeared first on INN. The post PSA: Capital Balance Patch Hits Tranquility appeared first on INN. The post BRISC RUBAL REMOVED FROM CSM 13 appeared first on INN.